Discover how fashion can help you be your most authentic self, attract good fortune, and manifest what you desire. When your beautiful inner and outer realities match, you'll revel in the magic of each day. Far from being superficial, fashion with intention can be a powerful, life-affirming practice. Build a wardrobe of items that enhances your unique attributes and personal magnetism. Select clothes, shoes, and accessories--including what you already own--that will make you look and feel your best. Put together empowering outfits for every occasion with simple guidance on everything from color, material, and pattern to gemstones, nail polish, and tattoos. 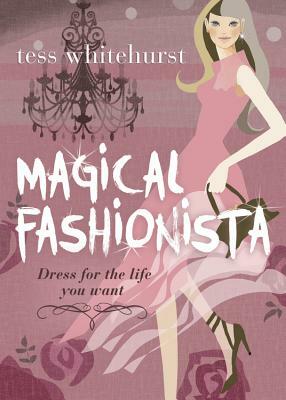 Drawing on astrology, feng shui, psychology, and more, this fun, mystical fashion guide will help you express your true essence and activate your happiness and success. Tess Whitehurst teaches magical and intuitive arts in live workshops and via her online community and learning hub, the Good Vibe Tribe Online School of Magical Arts. An award-winning author, she's written eight books, which have been translated into 18 languages. She has appeared on the Bravo TV show Flipping Out as well as morning shows on both Fox and NBC, and her writing has been featured in Writer's Digest, Spirit and Destiny (in the UK), and online at elepantjournal.com. She lives in the Rocky Mountains near Boulder, CO. Visit her online at TessWhitehurst.com.